For Universities, and Businesses working with University Researchers who want to want to avoid making expensive mistakes bringing new products or services to market, Product Innovator’s commercialisation training course delivers high impact knowledge and skills in an interactive, supportive environment. 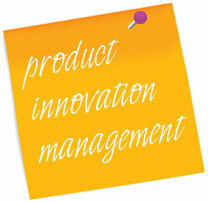 We have developed a training course based on a superior process-driven framework for managing product innovation. Backed up by with real-life practical examples that attendees can relate to, our programme includes a highly instructive product innovation management toolkit. The aim of this offering is to provide high impact skills and knowledge to our trainees in innovation management for the commercialisation of new product ideas, to enable them to reduce their risks when bringing new products / services to market. This training programme is specifically tailored for universities and businesses working with university researchers.